Portable school bleachers sale for school field events use aluminum portable school bleachers for indoor and outdoor events. 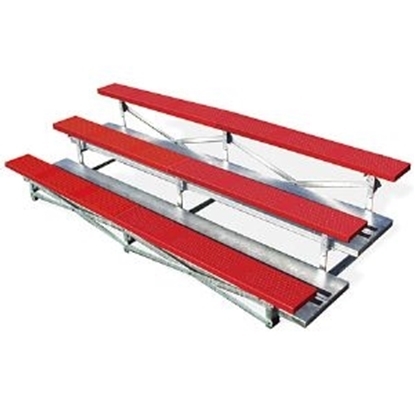 Tip and roll bleachers, aluminum portable bleachers and gym bleachers with safety guardrails and foot board with risers are many of the choices. 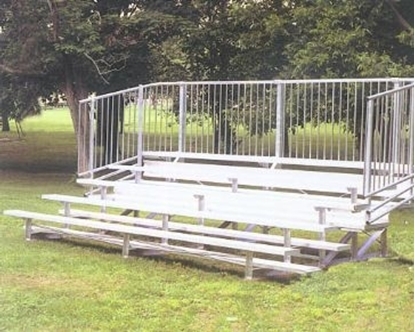 Bleacher frames require structural strength and are made from aluminum or galvanized steel bolted girders. 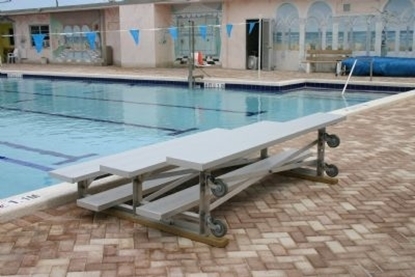 We recommend bolted frames over welded for long term strength when bleachers are moved occasionally. 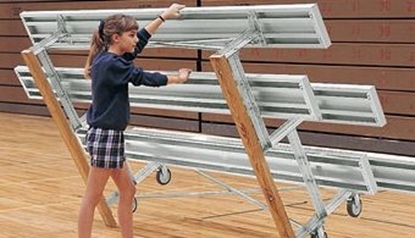 Welds tend to break when constructed bleachers are moved. Standard widths of school bleachers are 7.5,15,21 and 27 feet wide. 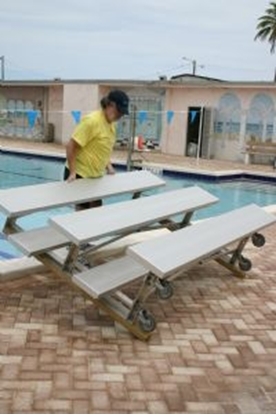 Low rise bleachers provide seating that local codes usually allow without requiring guard rails. 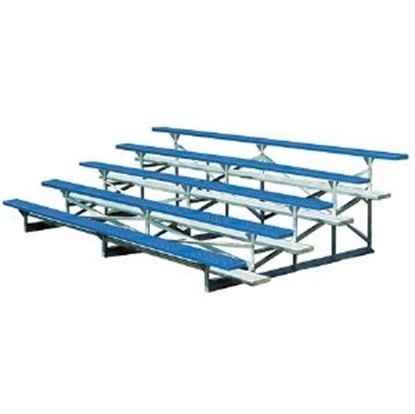 Park Tables sells our premium portable bleachers to Gymnasiums and Sport Fields at Universities, High Schools, Elementary schools, community parks, soccer fields and venues that need portable and tip and roll bleacher features. 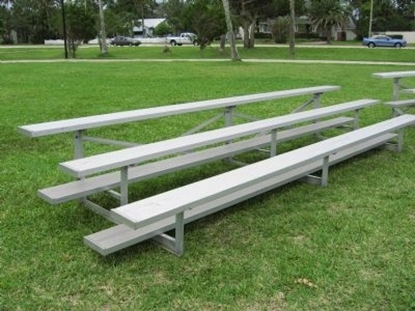 Let us supply our portable bleacher for your event seating needs. 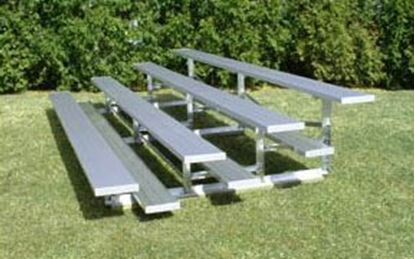 Be sure to search our site for commercial trash cans or benches for your field events.